Kessil Spectral Controller for all Kessil A360 LED fixtures. 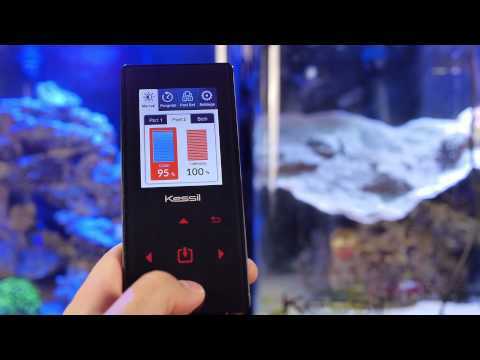 A fully functional electronic controller for Kessil LED Aquarium lights that allows you to independently control two banks of Kessil LED`s. Features a brightly colored LCD screen with touch sensitive controls. The easy to use software allows for custom spectral/color control as well as intensity. You can also program custom time schedules allowing you to create a natural dawn to dusk photo-period in your aquarium. Can this control a dimmable t5 ballast? This ballast is designed to control Kessil brand LED fixtures only.